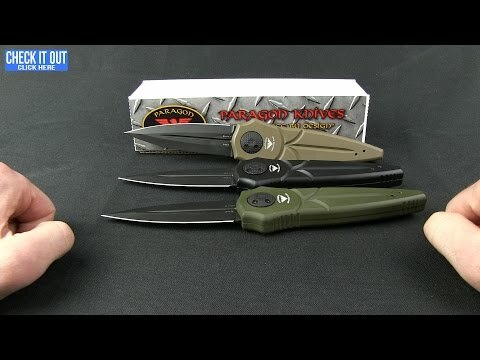 Paragon Knives' Warlock knife diverges from traditional folding knives with its radical opening mechanism. Your first hint for deploying the blade is the oversized, textured pivot. 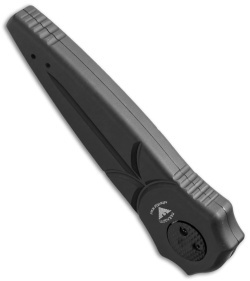 By pushing both sides of the pivot at the same time, the handle splits apart to reveal the blade. With gravity and a flick of the wrist, the Warlock's blade emerges and locks in place. It's an entertaining and novel opening mechanism that also has solid lockup. 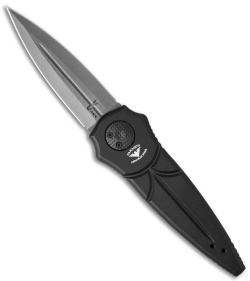 This Warlock knife has a bead blasted S30V steel, double-edge cross dagger blade, and a black 6061-T6 aluminum handle with a tip-up, reversible pocket clip. Looking for more color options? 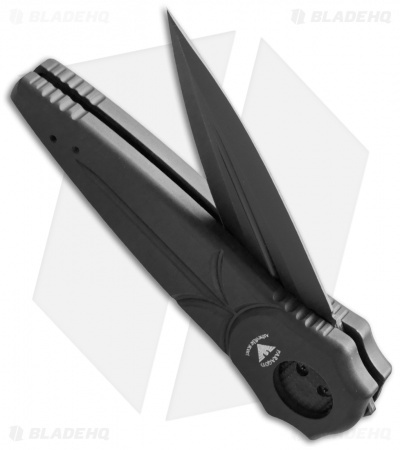 Shop all Paragon Warlock Knives.